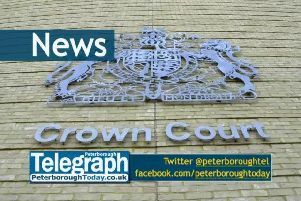 Police have confirmed a woman sexually assaulted in Peterborough was raped. The attack happened as the victim, who is in her 20s, was cycling along Park Road, near to Elizabeth Court, at about 3am yesterday (Sunday). Police initially described it as ‘a serious sexual assault,’ but have now confirmed the woman was raped. Officers will be conducting extra patrols in the area over the next week. We are not linking this to any other incidents at this time. Anyone with information about the incident or who saw any suspicious behaviour in the area around the time of the offence is urged to contact police either by reporting online at www.cambs.police.uk/report and quote incident 86 of 14 April or call 101. Always dial 999 if a crime is in progress or someone is in immediate danger.